Anatoly's blog: Negotiating with "Friends"
The sitcom "Friends" was, and still is, one of the most popular TV series of all time. People view the main characters as friends. 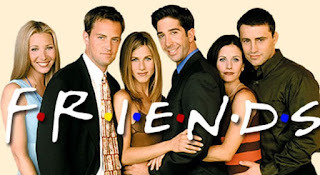 The cast played the role of friends and probably became friends in real life. 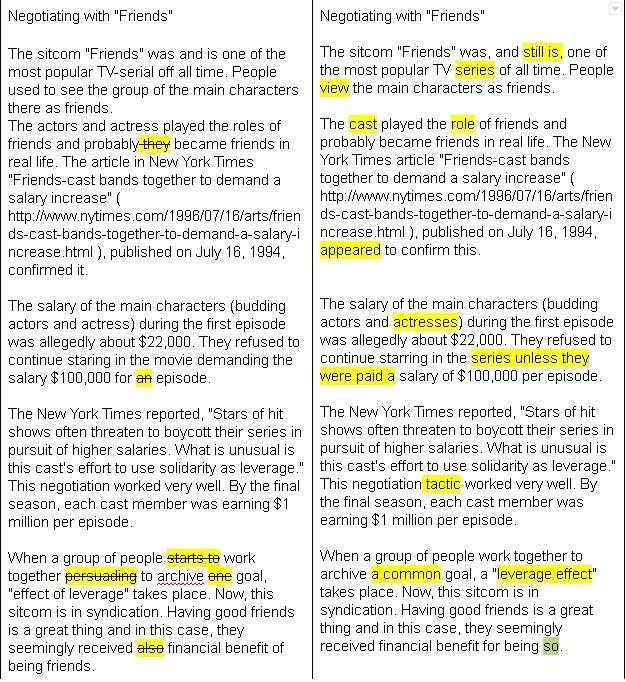 The New York Times article "Friends-cast bands together to demand a salary increase", published on July 16, 1994, appeared to confirm this. The salary of the main characters (budding actors and actresses) during the first episode was allegedly about $22,000. They refused to continue starring in the series unless they were paid a salary of $100,000 per episode. The New York Times reported, "Stars of hit shows often threaten to boycott their series in pursuit of higher salaries. What is unusual is this cast's effort to use solidarity as leverage." This negotiation tactic worked very well. By the final season, each cast member was earning $1 million per episode. When a group of people works together to archive a common goal, a "leverage effect" takes place. Now, this sitcom is in syndication. Having good friends is a great thing and in this case, they seemingly received financial benefit for being so. Syndication: The act of selling an article, a photograph, television program etc to several different news channels and newspaper etc. Leverage: The ability to influence what people do. This text was corrected by Rick Price (nickname on iltalki.com). Here are corrections.